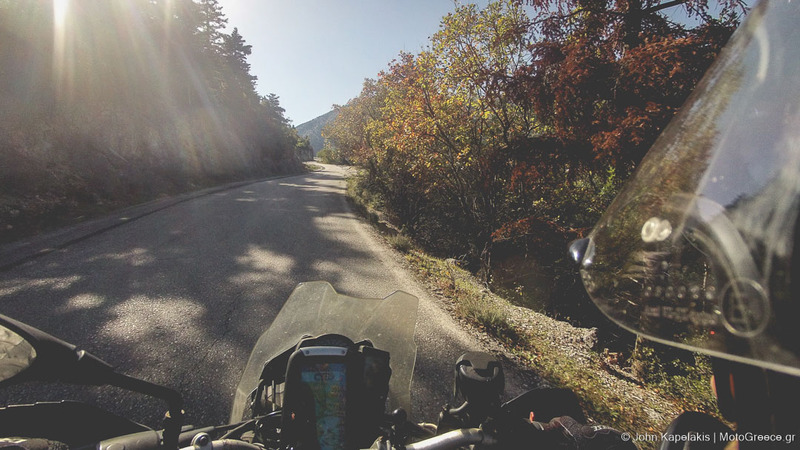 Our essential southeast Peloponnese motorcycle tour combines amazing riding routes with a lot of historical interest, all packed in a 6-day riding, self-guided, package. 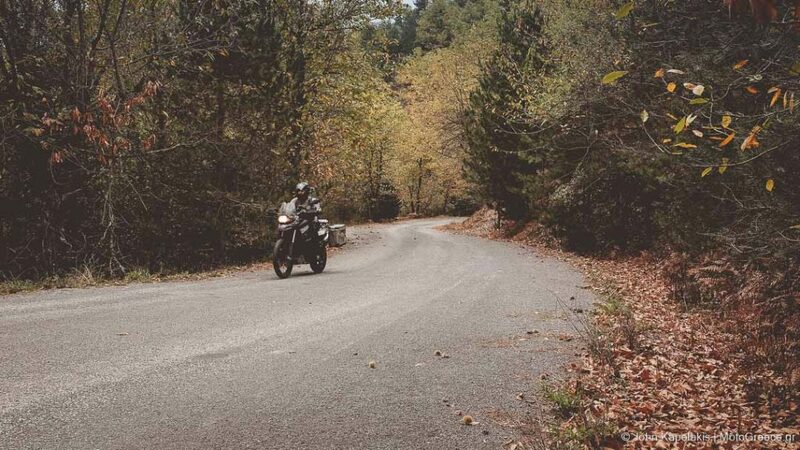 It is a perfect choice, whether you are looking for your first introductory motorcycle tour in Greece, or if you have a limited time available but still want to maximize your experience from your 2-wheeled visit in our beautiful country. 6 riding days. You should 1 day for your arrival to Athens, and 1 day for your departure (8 in total). aprox. 1100 kilometers (~690 miles). Shortest day: 90 kilometers. Longest day: 240 kilometers. Daily average 5-6 hours on the saddle. Intermediate. Read about our tour grading system . 1oo% paved. Aprox. 55% on touring roads, 25 % challenging roads. 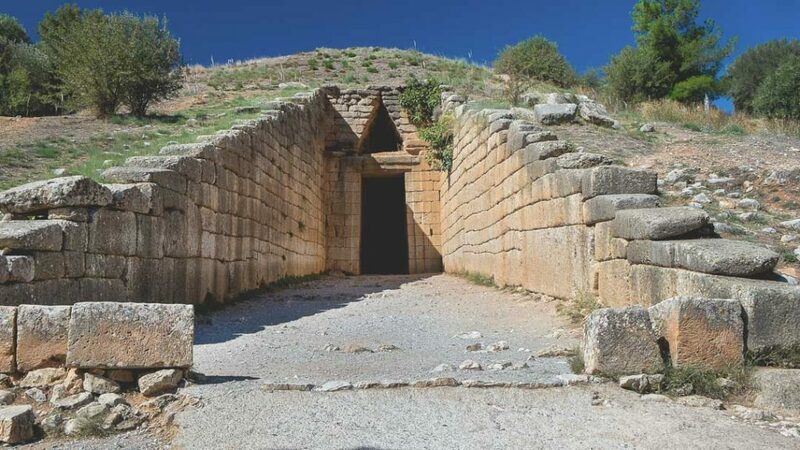 Ancient Mycenae & ancient Tiryns, UNESCO world heritage sites, “outstanding examples of human creative genius” (quote from UNESCO’s official website). The Cyclopean walls, Atreus Treasury and more! Site of Mystras, the “wonder of Morea”, also a UNESCO world heritage site! Byzantine Monemvasia, the “Gibraltar of the east”. There is a minimal highway riding, mostly because it is useful to get out of and back in to Athens, during the first and last days. The entire tour runs on paved roads. For the biggest part of the main course, we will be riding on secondary roads, with very little traffic. A picture is worth a thousand words, so the following image carousel contains photos from the routes of the tour. Slide/swipe left/right to see all images. Day 1: your arrival to Athens. We will pick you up from the airport and take you to the hotel, downtown Athens. On the evening before the start of the tour, we will all meet at the hotel for a welcome briefing and then have diner in a cozy restaurant in Athens, while we discuss the tour! Depending on where you come from, you may have to arrange your flights so that you leave from home 2 days earlier! Please book accordingly! Day 2: Athens – Polidroso (also known as Tzitzina). We take the highway to escape the capital until the outskirts of the city of Corinth where we make a stop to see the impressive canal. 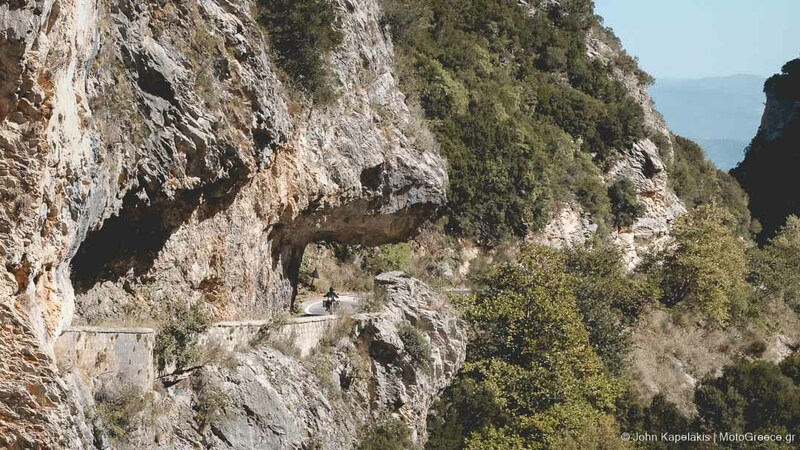 We soon find ourselves riding on nice secondary roads through the countryside of the Corinthian province, and we visit the ancient site of Mycenae. The Lions gate, the cyclopean walls the dark chambers of the treasury of Atreus will take you back in time. We continue briefly riding along the coast, and then we start ascending, enter the province of Lakonia and ride through forests and the never ending twisty roads of mountain Parnonas. Our destination is a tranquil place, and you are guaranteed to have a relaxing evening, with just the sounds and sights of the surrounding environment. Day 3: Polidroso to Monemvasia and back to Polidroso. We start the day with a culinary display. The staff of our hotel will make traditional pies and delicacies in front of us and we can also participate actively in the procedure. There will also be a display of local organic & traditional home made desserts. We leave the hotel and head southeast, riding over the alpine-like landscape of Parnonas mountain. Soon we will be traversing to the east side where the scenery gradually changes. We reach the medieval castle of Monemvasia, which is built at the slopes of a giant rock which from the looks of it has earned the nickname “the Gibraltar of the east”. We spent the afternoon strolling in the medieval city and enjoying a drink. After the visit to Monemvasia we return to Polidroso, following of course a different route to the one we had earlier. Day 4: Polidroso to Limeni. From Polidroso we briefly head west passing through narrow roads. We intersect with the highway only for a few minutes until we reach the outskirts of Sparta. We pay a visit to the castle town of Mystras, a UNESCO heritage site. 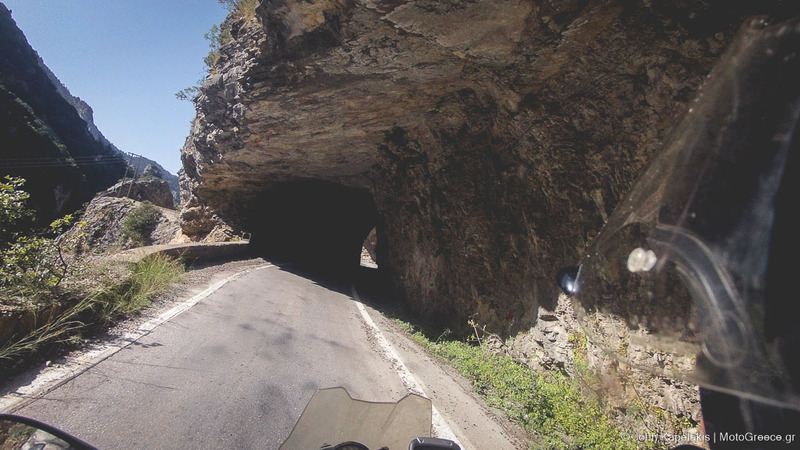 We continue by riding one of the most exciting biking routes that Greece has to offer: the Taigetos mountain pass. When we complete the ascend & descent, we will be riding along the coastal front of the Messinian Mani area. 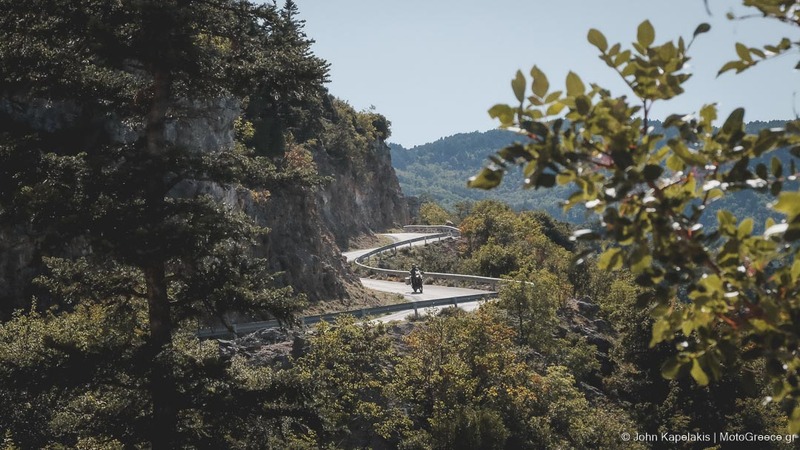 The riding is interesting, the vistas are great and history is calling us once more as we pass through many traditional villages that date from the ages of Byzantium. We reach our destination where the emerald blue & crystal clear waters of the sea await. Time to relax and enjoy some fresh sea food and local wine. Day 5: Limeni local ride and rest time. 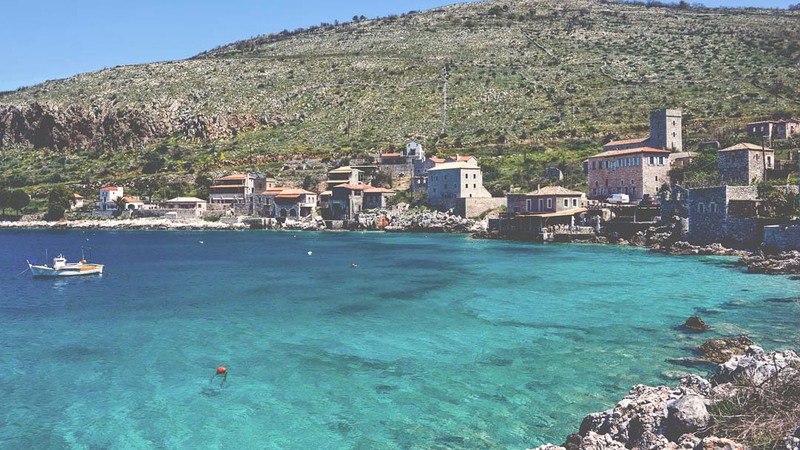 This day’s schedule has few local kilometers, approximately 100, heading south to explore the Mani peninsula. The ride out is optional, and you can choose to stay at the hotel and enjoy the beach and relax all day long! If you do come for a ride, we head south, passing through more small villages until we reach the medieval & Byzantine castle town of Vathia. 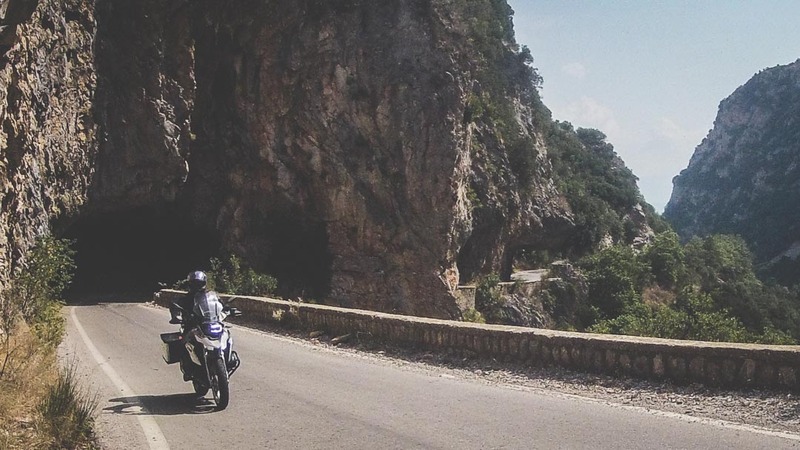 We also have the opportunity to ride and approach the southernmost tip of continental Greece & the Balkans, the cape Tenaro where according to mythology lies an entrance to the underworld, at a Poseidon’s necromancer site. (to actually reach the tip, one must walk a moderate trek for about an hour). You also have the opportunity to visit the Caves of Diros, a network of subterranean river that is extremely impressive. The entire length of it has still to be explored and is uncharted! An underground boat tour runs through about 1,5 kilometers in the caves! Day 6: Limeni to Nafplio. We depart from Mani and start making our way north. First we have a short stop at Gythio town and have a look at the “Dimitrios” shipwreck on the beach. We ride again through the mountain of Parnonas and rejoice from the continuous corners that lay ahead for the next couple of hours! 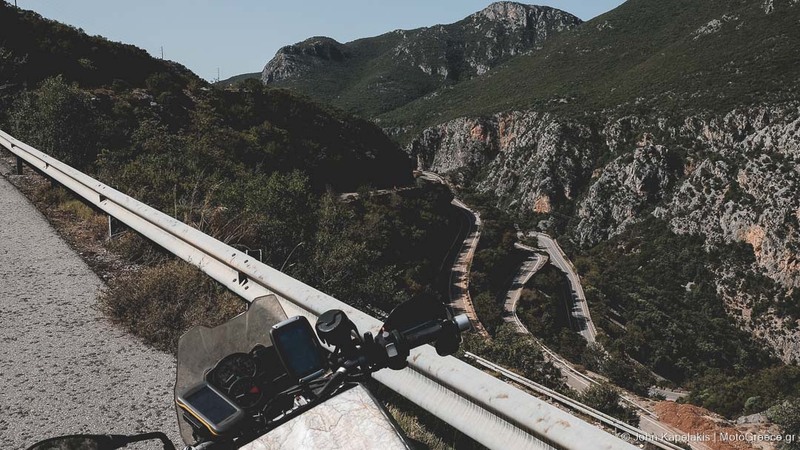 Once we are done, we will find ourselves riding along the scenic east coastal front of Peloponnese until we reach our destination for the day, the once provisional capital of Greece, the city of Nafplion. 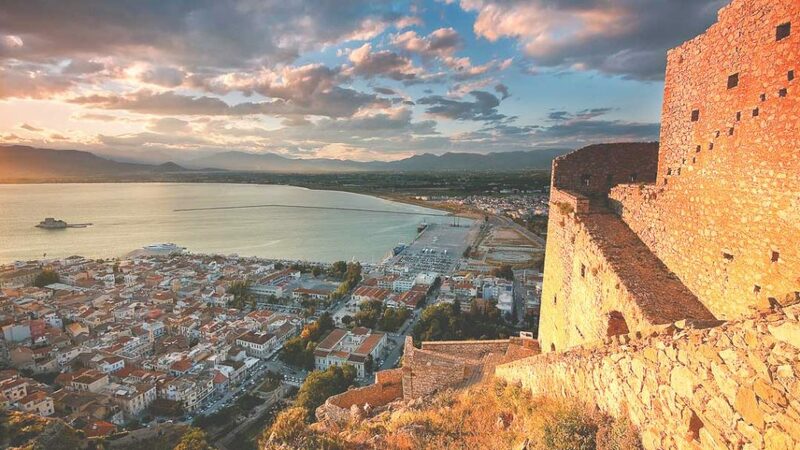 Nafplion offers the opportunity to stroll for hours in the romantic alleys of the historical old part of the city. 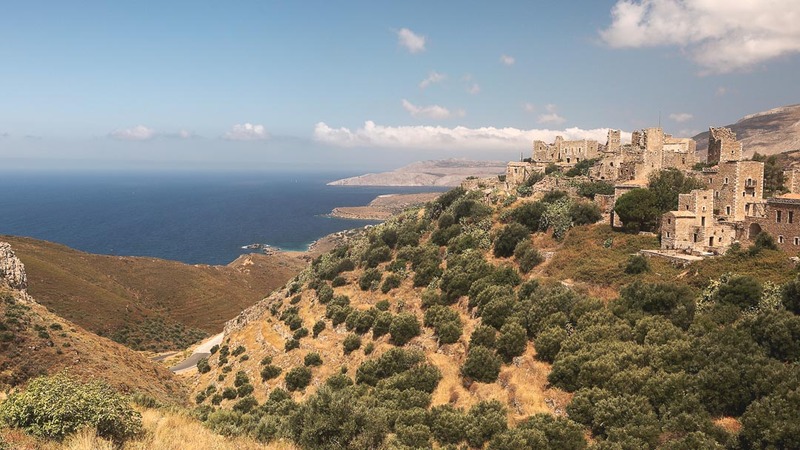 You will also have the chance to visit the Palamidi castle, a stronghold that overlooks the city from the nearby hill. Day 7: Nafplio to Athens. 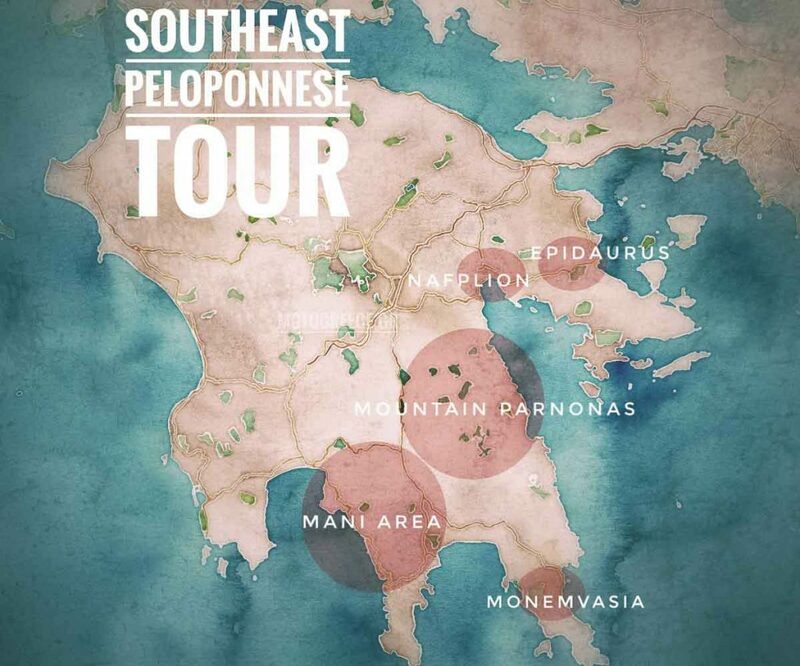 On our last riding day, we leave Nafplio and ride east to visit the ancient and historical important site of Epidaurus, one more UNESCO heritage site. 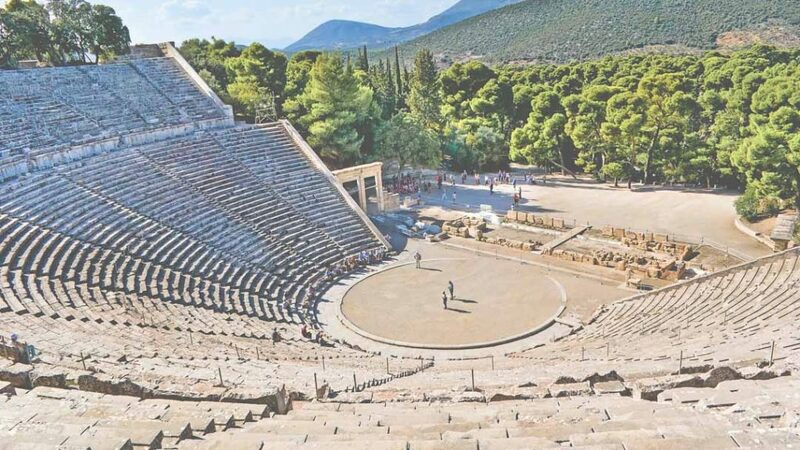 The ancient theatre of Epidaurus is a masterpiece of architecture, its acoustics remain unparalleled to this day! Later on, we ride one of the most popular biking routes until we finally approach Athens in early evening. You will check in your hotel and we meet again later for a farewell dinner. We suggest that you do not book your return flights on this day, so that the ride back to Athens is as relaxed as possible. Departure from Athens/ Flight home. We take care of your transfer to the Airport. Also, depending on your scheduled time of your flight, if there is plenty of free time during the day, we remain at your disposal for some Athens sightseeing. Booking deposit : 525 euros. Minimum participation of 3 riders is required in order to book this as a “guided” tour. Please note: prices of the self guided tour shown here are based on pricing of hotels for groups on fixed dates. Because your tour is not based on fixed/pre-scheduled dates, the actual final price quote you will get may vary. We endeavor to keep this as close to the actual price as possible. No scheduled dates. This tour is offered as a self-guided tour. Fully guided can be done only upon request for 3 or more riders. Best done during: April to early June, and then September to October. For the self-guied tour: remove from the above list all diners & meals and the services of a guide. – 7 diners, including 1 welcome & 1 farewell diner in Athens. – 2 helmets, approved by European standards. Or not what you were looking for? This tour can be adjusted to fit your preferences. Add or remove days, see more destinations, or ask for different dates! 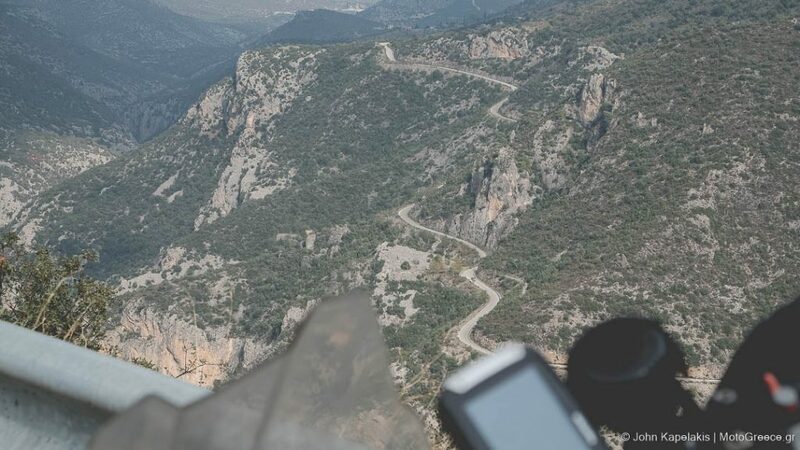 Perhaps you feel that you don’t need the services of a support car and wish to do the tour without one to lower the cost? For these parameters or anything else you might want to change, contact us! Back to our Tours Overview, or read the Tour Terms & Conditions. Also you may want to check the Frequently Asked Questions.